Submitted bei Neil Dewar (MCMP, LMU Munich). The Munich Center for Mathematical Philosophy is organising the sixth edition of the Summer School on Mathematical Philosophy for Female Students, taking place from 28th July to 3rd August 2019. The deadline for applications has been extended: applications are invited until 31st March 2019. The deadline for applications has been extended to 31st March 2019. Decisions will be made by 15th April 2019. The participation fee is 200€. (Note that the participation fee does not cover accommodation expenses.) The language of all events will be English. 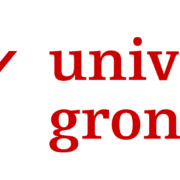 Submitted by Simon Friederich (University of Groningen). In cosmology probabilities appear in multiple different guises. We use them when we assess the naturalness of a certain value of the cosmological constant, when we assign likelihoods to possible initial conditions of the universe, when we judge the probability of cosmic inflation, or when we ascribe the probability of there being life in certain universes in the vicinity of certain types of stars. In this workshop we aim to identify differences and commonalities in the use of different applications of probability in cosmology, and to distinguish fruitful and legitimate uses from misleading and illegitimate ones. This workshop brings together specialists from different physical and philosophical disciplines including epistemology, philosophy of statistical mechanics, general relativity, quantum gravity, string theory, and astrobiology. It starts on Friday 21 June in the evening with a popular lecture by Sabine Hossenfelder, based on her recent book “Lost in Math.” Invited and contributed talk will be scheduled on Saturday 22 June and Sunday 23 June. Submissions of abstracts for contributed talks by researchers from diverse backgrounds are very welcome! Abstracts should be around 300 words. They should be sent to Simon Friederich, s.m.friederich@rug.nl. A limited number of travel grants for graduate students and early career researchers is available. If you are interested in such a grant, please indicate this when submitting your abstract and briefly sketch your motivation for contributing to the workshop. Deadline for abstract submission: 31 March 2019. Decision letters will be sent out no later than 5 April 2019. The workshop is organized by Simon Friederich, Sean Gryb, and Diederik Roest (University of Groningen). For further information please contact Simon Friederich (s.m.friederich@rug.nl). Submitted by Jan Baedke (Ruhr University Bochum). This workshop will bring together scholars from history and philosophy of biology as well as biologists who have worked on the Extended Evolutionary Synthesis (including fields such as epigenetics, niche construction theory, and evo-devo) from biotheoretical, philosophical, and historical perspectives. A particular focus of the workshop will be laid on the past and present conceptual, explanatory, and methodological challenges evolutionary theory faces. The Munich Center for Technology in Society (MCTS, Technical University of Munich) is very happy to announce to be host of the 5th annual German Summer School of Higher Education Research and Science Studies (HERSS). The school will focus on the question of how responsible innovation cultures can be established within institutions of higher education and research, such as universities, and will explore what responsibility in research, development and training might look like in different situated institutional contexts. § Responsible Research Innovation: hype or hope? § Who’s responsible? Exploring the role of different actors within responsible innovation cultures. § Who’s included? RRI and public engagement. § RRI in a global context: Responsibility, knowledge and global power structures. § Training for RRI? Responsible innovation cultures in higher education. All detailed information regarding the contents, workshops, talks and application can be found in the attached call for participation and on the website of HERSS. We encourage you to spread the word about this summer school on multifaceted responsible innovation cultures – particularly addressing PhD students, early-career postdocs, and science policy experts/practitioners. We are looking forward to receiving your applications (open until 14 April 2019). Submitted by Erik Curiel (MCMP, LMU Munich). Hans Reichenbach (1891-1953), one of the founding fathers of Logical Empiricism, is among the most important philosophers of science of the Twentieth Century and without doubt one of the most prominent philosophers of physics of the first half of the past century. Many of his ideas still retain their interest in current philosophy of science, and his work continues to be influential, often in unnoticed but deep ways. This conference is dedicated to highlighting the importance of Reichenbach and his legacy, across all areas of his thought, specifically focusing on the issues raised within his work, and on the current debates surrounding them. We invite the submission of extended abstracts for the conference. Submissions should include a title, a brief abstract (up to 200 words), and a full abstract (up to 1000 words), blinded for peer review. They should be PDF files, submitted by 06 April, 2019 to the conference’s EasyChair account https://easychair.org/conferences/?conf=atr2019. We will select up to 6 submissions for presentation at the conference. We are committed to fostering diversity and equality in our programs. Submissions from underrepresented groups are particularly welcome. The conference will be organized and run under the MCMP’s code of conduct. Please send registration requests by 15 July 2019 to the co-chair Erik Curiel. The email should have the subject: “register Reichenbach conference” and should indicate whether you plan to attend the conference dinner (23 July, 2019). The conference dinner will cost EUR 35 (alcohol not included). The conference is organized and supported by the Munich Center for Mathematical Philosophy (LMU Munich). The conference is partly funded by a grant from the Deutsche Forschungsgemeinschaft, and by support from the Alexander von Humboldt Foundationand from the Lichtenberg Group for History and Philosophy of Physics at the University of Bonn. Submitted by Lena Kästner (Saarland University). Reference Number W1485; salary in accordance with the German TV-L salary scale, pay grade E13 TV-L, employment: period: 3 years, hours worked: 50 % of the standard working hours. 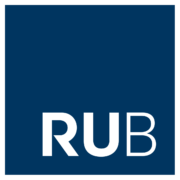 You will hold a faculty position associated with the junior professorship for Philosophy of Mind and Cognitive Systems at the Department of Philosophy at Saarland University. You will be granted individual supervision for your PhD or PostDoc project with the possibility to engage in collaborative work with empirical researchers (e.g. from psychology or computer science). Additionally, you will have the opportunity to further develop your personal academic profile. The campus wide Graduate Program GradUS offers various individual qualification measures and networking opportunities for PhD students at Saaarland University. You hold an academic degree (e.g. masters or diploma) in philosophy or another subject area relevant to the philosophy of the mind and cognitive systems (e.g. cognitive science, psychology, computer science) or, if you are applying as a PostDoc, you hold a PhD in a relevant area. A flexible work schedule (e.g. telecommuting) allowing you to balance work and family. A broad range of further education and professional development programs. An occupational health management model with numerous attractive options, such as our university sports program. Discounted tickets on local public transport services (‘Jobticket‘). We are looking forward to receive your (written) application under Reference Number W1485 by March 11th 2019. It should include your project outline, CV, relevant certificates, the names of two reviewers and a writing sample (max. 20 pages, e.g. an essay, a paper, part of the master thesis, etc.). Application documents will not be returned. Please only submit copies of your documents and do not use plastic wallets, folders, ring binders, etc. 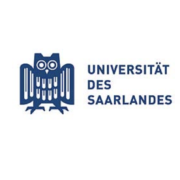 In accordance with the objectives of its equal opportunities plan, Saarland University seeks to increase the proportion of women in this field. Qualified women candidates are therefore strongly encouraged to apply. Preferential consideration will be given to applications from disabled candidates of equal eligibility. Pay grade classification is based on the particular details of the position held and the extent to which the applicant meets the requirements of the pay grade within the TV-L salary scale. When you submit a job application to Saarland University you will be transmitting personal data. Please refer to our privacy notice for information on how we collect and process personal data in accordance with Art. 13 of the Datenschutz-Grundverordnung (DS-GVO). By submitting your application you confirm that you have taken note of the information in the Saarland University privacy notice (Datenschutzerklärung). Submitted by Martin Carrier (Bielefeld University). Applications are invited for a fully funded (65% TV-L 13) PhD-position for three years (fixed term) in philosophy of science at Bielefeld University (beginning April 15, 2019). The post is part of a DFG-funded project on research in the context of practice. The project is supposed to inquire into the practical fruitfulness of heuristic strategies. This question will be addressed by analyzing a pool of practically relevant research projects from the sciences and comparing their goals and accomplishments. The pertinent projects are driven by societal demand but aim to gain scientifically relevant knowl­edge in addition. Deadline for applications: February 21, 2019. The material to be analyzed is in German. Therefore, command of German is required. For additional details see below. Die Stelle umfasst Aufgaben im Rahmen des DFG-Projekts „Forschung im Praxiskontext“. Gegenstand des Projekts ist es, Forschungsstrategien und heuristische Vorgehensweisen zu identifizieren, die zu praktisch möglichst fruchtbaren Resultaten führen. Dabei steht die Verbindung von Erkenntnisgewinnung und konkreter Nutzbarkeit im Zentrum. Diese Verbindung soll durch Analyse einer Reihe praktisch relevanter Projekte aus den Naturwissenschaften näher untersucht werden. Die Projektziele werden dabei mit den Projektresultaten verglichen (welche aus Projektbeschreibungen und -berichten, Veröffentlichungen und Interviews gewonnen werden). Im Fokus stehen Projekte, die an gesellschaftlichem Bedarf anknüpfen, aber darüber hinaus einen Zuwachs an wissenschaftlichem Verstehen anstreben. Die ausgeschriebene Stelle ist auf die physikalischen oder chemischen Wissenschaften oder die Ingenieurswissenschaften ausgerichtet (in einem breiten, individuell unterschiedlich konkretisierbaren Sinn). Das Projekt ist am Institute for Interdisciplinary Studies of Science (I2SoS) angesiedelt, in dem Wissenschaftsphilosophie, -geschichte und -ökonomie vertreten sind. Die Möglichkeit des Anschlusses an das Graduiertenkolleg „Integrating Ethics and Epistemology of Scientifc Research“ besteht. Das I2SoS ist ein lebendiges Institut, das wissenschaftliche Vielfalt und internationalen Austausch betont. Eine Beteiligung an den Aktivitäten des I2SoS ist erwünscht. Die Vergütung erfolgt nach der Entgeltgruppe 13 des Tarifvertrages für den öffentlichen Dienst der Länder (TV-L). Die Stelle ist gemäß §2 Absatz 1 Satz 1WissZeitVGfür die Dauer von drei Jahren befristet (entsprechend den Vorgaben des WissZeitVGund des Vertrages über gute Beschäftigungsbedingungen kann sich im Einzelfall eine abweichende Vertragslaufzeit ergeben). Die Beschäftigung ist der wissenschaftlichen Qualifizierung förderlich. Es handelt sich um eine befristete Teilzeitstelle im Umfang von 65 % von Vollbeschäftigung. Auf Wunsch ist grundsätzlich auch eine Stellenbesetzung in geringerem Umfang möglich, soweit nicht im Einzelfall zwingende dienstliche Gründe entgegenstehen. Die Universität Bielefeld legt Wert auf Chancengleichheit und die Entwicklung ihrer Mitarbeiterinnen und Mitarbeiter. Sie bietet attraktive interne und externe Fortbildungen und Weiterbildungsmaßnahmen. Zudem können Sie eine Vielzahl von Gesundheits-, Beratungs-und Präventionsangeboten nutzen. Die Vereinbarkeit von Beruf und Familie hat einen hohen Stellenwert. Wir freuen uns über Ihre Bewerbung per Post an die untenstehende Anschrift oder per E-Mail unter Angabe der Kennziffer wiss19001 in einem einzigen pdf-Dokument an bewerbung-gephth@uni-bielefeld.de bis zum 21. Februar 2019. Bitte verzichten Sie auf Bewerbungsmappen und reichen Sie ausschließlich Fotokopien ein, da die Bewerbungsunterlagen nach Abschluss des Auswahlverfahrens vernichtet werden. Weitere Informationen zur Universität Bielefeld finden Sie auf unserer Homepage unter www.uni-bielefeld.de. Bitte beachten Sie, dass Gefährdungen der Vertraulichkeit und der unbefugte Zugriff Dritter bei einer Kommunikation per unverschlüsselter E-Mail nicht ausgeschlossen werden können. Informationen zur Verarbeitung von personenbezogenen Daten finden Sie unter http://www.uni-bielefeld.de/Universitaet/Aktuelles/Stellenausschreibungen/2018_DS-Hinweise.pdf. Submitted by Tobias Dangel (University of Heidelberg). wiederzubesetzen. Die Professur partizipiert an den vorhandenen Institutsressourcen. Von den Bewerber/innen (m/w/d) werden durch Publikationen ausgewiesene Schwerpunkte in der Wissenschaftsphilosophie und Wissenschaftsgeschichte der Neuzeit und Gegenwart sowie die Vertrautheit mit einer Epoche der Philosophiegeschichte erwartet. Erwünscht sind Erfahrungen in der Kooperation mit Naturwissenschaftler/innen. Voraussetzung für die Bewerbung ist ein abgeschlossenes Hochschulstudium, Promotion sowie nach § 47 Abs. 2 des Landeshochschulgesetzes Baden-Württemberg die Habilitation, eine erfolgreich evaluierte Juniorprofessur oder eine vergleichbare Qualifikation. Die Universität Heidelberg strebt einen höheren Anteil von Frauen in den Bereichen an, in denen sie bisher unterrepräsentiert sind. Qualifizierte Wissenschaftlerinnen werden besonders um ihre Bewerbung gebeten. Schwerbehinderte werden bei gleicher Qualifikation und Eignung bevorzugt. Bewerbungsschluss ist der 28.02.2019. Bitte senden Sie Ihre Bewerbung mit den üblichen Unterlagen (Motivationsschreiben, Lebenslauf/ wissenschaftlicher Werdegang, Schriften- und Lehrverzeichnis) elektronisch zusammengefasst zu einer pdf-Datei an den Dekan der Philosophischen Fakultät, Universität Heidelberg, Voßstr. 2, Geb. 37, 69115 Heidelberg, E-Mail: philosophische.fakultaet@uni-heidelberg.de. available as of 1 October 2020. The professorship is funded by department resources. Applicants are expected to have a research focus on the philosophy of science and modern and contemporary history of science as evidenced by their publications. They are also expected to have a familiarity with one period in the history of philosophy. Experience in cooperating with scientists is highly desirable. Prerequisites for the application are a university degree, a doctoral degree and either a habilitation, a successfully evaluated junior professorship or a comparable qualification, in accordance with § 47 (2) of the Landeshochschulgesetz Baden-Württemberg (the Baden-Württemberg State Higher Education Act). 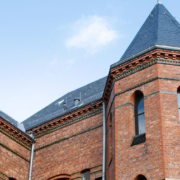 The university aims to increase the number of women in the areas in which they have been underrepresented so far. Qualified female academics are especially encouraged to apply. Preference will be given to disabled applicants who are otherwise equally qualified for the position. Applications should consist of a letter of motivation, a CV, containing a list of publications, and a list of taught courses, all compiled in a single PDF file. Please send your complete application documents by 2/28/2019 to the Dean of the Philosophy Faculty, Voßstr. 2, Geb. 37, 69115 Heidelberg, Germany; Email: philosophische.fakultaet@uni-heidelberg.de. Submitted by Uljana Feest (Leibniz University Hannover). to be appointed by the next possible date. The positions are limited to 4 years. The positions are based in the interdisciplinary project “Bias and Discrimination in Big Data and Algorithmic Processing – BIAS”, funded by the Volkswagen Foundation. This project brings together researchers from philosophy, law and computer science to assess how standards of unbiased attitudes and non-discriminatory practices can be met in big data analysis and algorithm-based decision-making. The positions are attached to the Chairs for Philosophy of the Social Sciences and Social Philosophy (Professor Feest), for Theoretical Philosophy, particularly Philosophy of Science (Professor Frisch), and for Practical Philosophy, particularly Ethics of Science (Professor Hübner), respectively. To qualify for the positions, applicants must hold a Master’s or PhD degree in philosophy or HPS (or similar program). As an equal opportunities employer, Leibniz University Hannover intends to promote women and men in the context of statutory requirements. For this reason suitably qualified women are specifically invited to apply. Equally qualified applicants with disabilities will be given preferential treatment. Applications may be submitted in either English or German. They should contain a cover letter, a CV, diploma copies and a short description of research interests relating to the project (1 page). 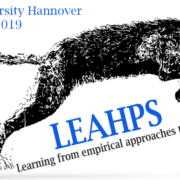 For further information please contact Professor Feest (feest@philos.uni-hannover.de), Professor Frisch (mathias.frisch@philos.uni-hannover.de), or Professor Hübner (dietmar.huebner@philos.uni-hannover.de). Submitted by Uljana Feest (University of Hannover). Psychology might be broken, some skeptics warn (Woolston, 2015). It might even be trapped in a horrible space somewhere between the third and fourth circle of hell (Neuroskeptic, 2012). To say the least, psychology is enduring an age of epistemic upheaval. The name of this hell is “replication crisis”. Having already affected a range of disciplines in the medical and the life sciences, the replication crisis reached psychology in 2011, with a paper on false positive psychology (Simmons, Nelson, & Simonsohn, 2011). Since this time, the crisis has grown (Dominus, 2017). In a replication of 100 experimental and correlational studies published in psychology journals, only thirty-six percent of the results proved replicable (Open Science Collaboration, 2015). Many other major psychological findings could not be replicated, especially in social psychology: from the broadly published effects of ‘power posing’ to some well-known finding on behavioral priming and the famous Marshmallow test. The reactions within psychology have been vehement but not surprising. Many scientists are calling for more methodological rigor, for stricter statistical approaches that prevent p-hacking, or for the use of a replication-index. In this workshop, we do not aim to identify new methodological tools to ‘repair’ psychology. Instead, we will place the replication crisis in its scientific, historical and social context. Therefore, we invite psychologists and historians as well as philosophers and sociologists of science to reflect on the epistemic dynamics within the discipline. The workshop will also discuss the effects of this crisis on public debates, on scientific discourses, and on practices of psychological research. To this end, we welcome theoretical papers as well as historical analyses or specific case studies of (non-)replicable psychological experiments. What is the genealogy of the current crisis in the long history of similar problems in psychology? When and why did the idea of replication emerge as an epistemic ideal, under which circumstances did its relevance fluctuate and how did it gain importance in psychology? How do concerns about replication and replicability reflect broader scientific assumptions and ideals of robustness and stability? How does the issue of replication in psychology relate to the situation in other disciplines like medicine, the life sciences, environmental studies, or climate science? How do we as critical scholars deal with the “replication crisis” and with what intentions do we evaluate the focus on this issue in the debate on psychology? Is the ideal of replicability “overrated” (Feest, 2019), because it presupposes an overly formal understanding of scientific research in psychology? Can the replication of data alternatively be understood by theoretical approaches from ‘new materialism’ as a phenomenon of posthumanist performativity (Barad, 2003)? What are the political and cultural contexts of the replication crisis and how does it relate to the debate on ‘alternative facts’ or the rhetoric of a ‘war on science’? How do gender issues play out in the notion of a replication crisis and ideas of “soft” versus “hard” science? Which larger cultural concepts, metaphors, and ideas resonate with this “crisis” discourse? What are instructive case studies of (non-)replication in psychology? 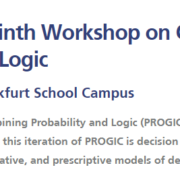 The Workshop will take place on September 19th and 20th in Lübeck. Please send abstracts (300-500 words) to malich@imgwf.uni-luebeck.de by March 17th 2019. Barad, K. (2003). Posthumanist performativity. Toward an understanding of how matter comes to matter. Signs, 28(3), 801-831. Dominus, S. (2017, Oct. 18th 2017). When the Revolution Came for Amy Cuddy. New York Times Magazine. Feest, U. (2019). Why Replication is Overrated. Philosophy of Science (in press). Mülberger, A. (2018). When and why did psychologists start to worry about replication? Paper presented at the European Society for the History of the Human Sciences, Groningen, Netherlands. Simmons, J. P., Nelson, L. D., & Simonsohn, U. (2011). False-Positive Psychology: Undisclosed Flexibility in Data Collection and Analysis Allows Presenting Anything as Significant. Psychological Science, 22(11), 1359-1366. Stam, H. J. (2018). Once more with feeling: The eternal recurrence of the reproducibility crisis in psychology. Paper presented at the European Society for the History of the Human Sciences, Groningen, Netherlands. Sturm, T., & Mülberger, A. (2012). Crisis discussions in psychology—New historical and philosophical perspectives. Studies in History and Philosophy of Biological and Biomedical Sciences, 43, 425-433. Submitted by Marcello Garibbo (University of Siegen). The summer school “The Metaphysics of Time-Continuum” addresses the topic of temporal continuity by focusing on three key figures: Aristotle, Kant and Bergson. Their conception of the continuum will be studied in-depth and related to questions in the contemporary philosophy of time. The summer school adjoins the conference „Time-Continuum “ (5-6 September 2019, Imperia, Italy). The conference “The Time-Continuum” focuses on the topic of temporal continuity from the perspective of contemporary philosophy of time. Conference’s contributions will investigate the consequences that different understandings of the continuum may have for issues such as the objectivity of tenses (A- and B-Theories), the meaning of temporal existence (Eternalism, Presentism, etc.) and the question about the ontological status of processes (in distinction to events). The summer school and conference are co-organized by the Society for the Philosophy of Time (https://s-p-o-t.weebly.com), the University of Siegen, the Goethe Institut in Genova, the Theatre Spazio Vuoto and the online journal Philosophy Kitchen (http://philosophykitchen.com/). Submitted by Thomas Reydon (University of Hannover). In recent years, historians and philosophers of science have taken an empirical turn in their own work, conducting surveys and interviews, embedding themselves in scientific research groups as both observers and participants, designing and conducting new experiments, replicating historically important experiments, and developing computational approaches to questions in the history & philosophy of science. Such approaches connect to the increased attention for scientific practice, where a number of questions concerning methodological and epistemological aspects of scientific inquiry remain open. For instance, how well do the proposed philosophical accounts capture scientific practice? What is the impact of social, cultural, cognitive, and institutional factors on the generation of knowledge and its efficiency? In response to this gap, philosophers of science have begun to utilize empirical and computational methods, aiming to provide more well-grounded and systematic insights into actual behaviors and patterns and more reliable normative accounts of scientific inquiry. Three exemplary perspectives from which philosophers can gain insights about scientific practice are: (1) philosophers engaging with scientists in the laboratory on theand results. Contributors should address how the methods they use serve philosophical aims and help to answer their research questions. Central questions to be addressed include: What can HPS learn from interviews and surveys? How is “HPS in the lab” different from the sociology of science? Which questions in HPS can be answered using empirical methods? Which cannot? How do empirical methods need to be adapted to answer philosophically relevant questions? What are the benefits and limitations of the various methods in philosophical inquiry? How does HPS relate to, and what can it learn from, what can be called “the science of science” – the study of various aspects of science and its practitioners? And how does expandingmethods and methodologies change the field of HPS? We have room on the program for ten contributed presentations (30 minutes). Please submit an abstract of no more than 1000 words through EasyChair . The deadline for submissions is January 31, 2019. 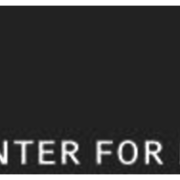 We strongly encourage researchers who work on the intersection between philosophy and the social and/or natural sciences to apply. Decisions on acceptance will be communicated by mid-March 2019. Day 1: “Practicing Philosophy at the Boundary: Philosophy from within Science”. Day 2: “The Role of Ethnographic Methods in Philosophy of Science: Building a Methodological Framework”. Day 3: “Philosophy of Experimentation and the Empirical Approach to Agent-based Modeling of Scientific Inquiry”. Colin Allen (University of Pittsburgh). Venue: The conference will be held at Leibniz University Hannover, Germany. More information about the venue will follow. Submitted by Robert Meunier (University of Kassel). This is a part-time position with 65% of the working hours of a full-time employee. It is a fixed term position for initially 24 months in the research project “Forms of Practice, Forms of Knowledge – Method, Notation and the Dynamics of Perspectives in the Life Sciences” (PI Dr. Robert Meunier), funded by the German Research Foundation (DFG) (§ 2 Abs. 2 WissZeitVG). The position offers the possibility to complete a PhD. The project aims at developing a model of scientific practice in the life sciences that facilitates an understanding of how different forms of research activities generate different forms of scientific knowledge. Based on such a model, scientific change will be reconstructed in terms of complex dynamic relations between research fields. 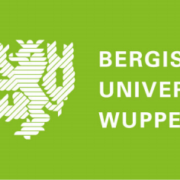 Case studies from developmental biology, evolutionary biology and ecology will be studied (a detailed description of the project is found here: https://www.uni-kassel.de/fb02/en/institute/philosophie/schwerpunkte-projekte/integrative-biophilosophie/epistemologie-der-biowissenschaften.html). Developing a subproject in the framework of the above-mentioned research project. Assistance in planning and realization of activities in the context of the project (conferences, online representation etc.) and minor administrative tasks. Teaching is not required, but possible by additional appointment if desired. The position offers the possibility for further academic qualification; in particular, the successful candidate may choose to complete a PhD. University degree in philosophy, history of science or science and technology studies and the desire to complete a PhD degree in philosophy. The candidate is expected to show the ability to work in a team and interest in interdisciplinary collaboration. Demonstrable interest in questions of philosophy of science, history or philosophy of the life sciences, or sociological approaches to the sciences is desirable. Experience with the organization of academic activities or the maintainace of websites are advantageous. In addition to the usual documents (cover letter, max. 1 page; CV; copies of MA certificate – in case a certificate is not yet available, please provide the contact details of your supervisor), please also send a one-page summary of your master thesis. The protection of your personal data is very important to us, so we will handle your personal data with care. When you submit your application, you allow us to store and use your data in the sense of the Hessian Data Protection Act. Your personal data will be deleted on request. 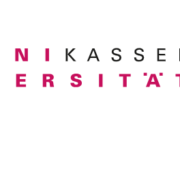 The University of Kassel is an equal opportunity employer and aims at increasing the proportion of women in research and teaching. Qualified women are therefore expressly invited to apply. In case of equal qualification, applicants with severe disabilitieswill be given preferential consideration. Please send copies only, as documents cannot be returned and will be destroyed according to data protection regulations. Applications indicating the position number (Kennziffer) should be sent to the President of the University of Kassel, 34109 Kassel, Germany, or, in electronic form, to bewerbungen@uni-kassel.de. Submitted by Meinard Kuhlmann (University of Mainz). The Working Group “Philosophy of Physics” (AGPhil) of the German Physical Society (DPG) invites submissions for its annual workshop. Contributions on any topic in the philosophy of physics are welcome. The workshop takes place 18-20 March 2019 at the Technical University in Munich and will be part of the Annual Meeting of the DPG (http://muenchen19.dpg-tagungen.de/). The AGPhil organizes a small workshop on “Philosophy of Cosmology”. Contributions in this area are especially welcome. If you would like to present a paper, please submit an abstract of about 200 words by 6 January 2019 (ignore the stated 15 December 2018 abstract submission deadline on the website), using the online-form at https://www.dpg-tagung.de/m19/submission.html?language=en. As conference fees are not trivial (http://muenchen19.dpg-tagungen.de/registrierung/tagungsgebuehren), speakers who have difficulties paying the conference fees should contact us about possible travel grants. Submitted by Niels Martens (RWTH Aachen University). The Research Unit “Epistemology of the LHC” invites students and other scholars in philosophy, history and sociology of physics/science, as well as in physics, to register for the conference “Dark Matter & Modified Gravity”, taking place from 6 to 8 February 2019 at RWTH Aachen University, Germany. Astrophysical and cosmological observations as well as explanatory gaps in the Standard Model of particle physics imply the existence of Dark Matter and/or a modification of our theory of space and time. A decision between the Dark Matter (DM) and Modified Gravity (MG) approaches is hampered by problems of underdetermination at different levels and of different kinds. The plethora of Dark Matter and Modified Gravity approaches, and the corresponding underdetermination, even in the light of the vast amount of relevant collider based and astrophysical observations, clearly illustrates the complexity of this scientific problem. On the other hand, the overlap of the collider and astrophysical domains may allow for reducing the underdetermination, thus leading to a simplification of the model landscape. 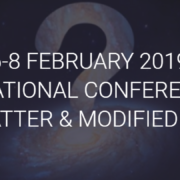 One focus of this conference is Dark Matter searches at the Large Hadron Collider and the connection between LHC results and theories of gravity. We will address the question of different kinds of underdetermination, both in choosing between the two research programs of Dark Matter and Modified Gravity, and also in choosing between different models within each program. In particular, we aim to provide an assessment of the explanatory power and the explanatory gaps of the Dark Matter and Modified Gravity hypotheses, and the extent to which these might reduce the issues of underdetermination. -Is a strict conceptual distinction between DM and MG justified? How does this relate to the distinction between matter and spacetime? -What are the explanatory successes and failures of the DM research programme, and of the MG research programme? Which models of explanation are being employed by the respective programmes, and how do those relate? -How do data, constraints and explanations at the LHC, in astrophysics and cosmology relate? Could the LHC, in principle, confirm dark matter by itself? -Virtues and vices of simplified (dark matter) models. Do simplified models explain? Submitted by Christian J. Feldbacher-Escamilla (DCLPS, University of Duesseldorf). Date and Venue: The workshop takes place from December 6 to 7, 2018, at the Haus der Universitaet (Schadowplatz 14, 40212 Duesseldorf) of the University of Duesseldorf. Attendance is free. If you are interested in attending, please register via e-mail to <christian.feldbacher-escamilla@hhu.de> until November 30, 2018. For the detailed programme, abstracts, and further information, please visit <https://indmet.weebly.com/abduction-and-modelling-in-metaphysics.html>. At the reading groups, we will discuss papers and selected book chapters that are related to inductive metaphysics. The specific readings for the sessions will be announced shortly. Attendance is free but limited to a few places. If you are interested in attending, please register via e-mail to <christian.feldbacher-escamilla@hhu.de> until November 30, 2018. The events are organised by the DFG funded research group Inductive Metaphysics the goal of which is to establish how empirical sources and inductive forms of inference play a role in metaphysical research. Submitted by Miguel Ángel Carretero (University of Wuppertal). 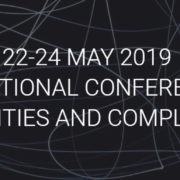 “Simplicities and Complexities” will take place from 22 to 24 May 2019 at the University of Bonn, Germany. It aims to bring together scientists and scholars from a spectrum of disciplines such as physics, biology, ecology, chemistry, and computational science, as well as from philosophy, sociology, and history of science. This conference is organized by the interdisciplinary, DFG- and FWF-funded research unit “Epistemology of the LHC”. Philosophers and scientists alike have often assumed simplicity to be an epistemic ideal. Some examples of theories taken as successful realizations of this ideal include General Relativity and Darwin’s theory of Natural Selection. These theories influenced early and mid-20th century philosophers’ understanding of the criteria successful scientific theories and practices had to meet, even when facing complex phenomena. However, this influence did not mean that the notion of simplicity was clear-cut. A suitable and encompassing definition of simplicity has yet to be developed. Some unanswered questions include: In what sense can and do physicists consider a theory, such as the Standard Model of elementary particle physics, as being sufficiently simple? How do ideals of simplicity differ when applied to disciplines other than physics? Biological concepts, for example, do not tend to refer to laws, whereas concepts from the social sciences frequently resort to notions of order and structure that are different from those of natural sciences. Are there, accordingly, simplicities (in plural) rather than a unified logic-inspired notion? Finally, are there cases where simplicity is simply a bad epistemic ideal, and not merely for the reason that it is often unreachable? The organisation committee invites abstract submissions on the theme of the conference. Short abstracts (200-300 words) should be submitted to EasyChair by 15 January 2019. We aim to communicate our decision by 28 February. Submissions are welcome from the broad spectrum of scientific fields. This workshop is organized by the DFG and FWF-funded research unit “Epistemology of the LHC”. Submitted by Michael Kreisel (Bergische Universität Wuppertal). to start on 01.04.2020 or earlier. The professorship is located in the field of Philosophy and autonomously covers the entire systematic and historic breadth of the subject. The position focuses on the philosophy of science and logic. The holder of this position is expected to have a double qualification in this field and to be able to develop the existing research and teaching profile for the philosophy of the exact sciences or the philosophy of mathematics in a competent manner. The teaching duties associated with the professorship include the provision of a compulsory introduction to logic for students. The tasks associated with the professorship include active engagement in the IZWT, in particular the ability to combine philosophical, historical, and sociological perspectives in science and technology studies. The successful applicant is expected to integrate into the existing DFG research group “The Epistemology of the Large Hadron Collider”. Assistance with academic self-administration is seen as a matter of course. The University of Wuppertal sees the equality of men and women as an important task to which the future holder of this position will be expected to contribute. In addition to pedagogical competence, the applicant is expected to have special aptitude for academic work. His/her academic achievements since obtaining a doctorate will testify to this. 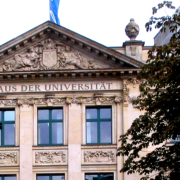 If the applicant has not yet held a professorship, equivalent achievements are provided as part of a junior professorship; they can also be provided as part of a habilitation or a research position at a university or non-university research institution or as part of a research activity in business, administration, or another social field in Germany or abroad. Applications must include a CV, copies of diplomas, a publications list and, if applicable, a list of classes given to date, and be sent to the Dean of the Faculty of Humanities and Cultural Studies, Univ.-Prof. Dr. Gerrit Walther, Bergische Universität Wuppertal, 42097 Wuppertal, mentioning the reference number P18007. Applications sent electronically cannot be considered. Applications from women are expressly desired. Women will be given preferential consideration in accordance with the NRW Equal Opportunities Act unless there are grounds in the person of another applicant that take precedence. This does not affect the rights of severely handicapped persons to be given preferential consideration if they are equally suitable.